Update, January 11, 2018: The Overwatch League has released a video in memory of Dennis ‘Internethulk’ Hawelka. During last night’s inaugural Overwatch League broadcast, Blizzard showed a video commemorating Dennis Hawelka, known in-game as Internethulk, and also praised his impact on the community. The short video contains tributes from community figures TempoZP, GolddenboyFTW, and Soembie, as well as interview clips with Internethulk from the Overwatch World Cup. 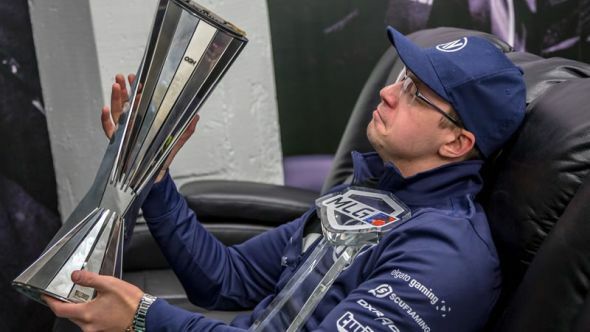 Original story, September 11, 2017:Dennis ‘INTERNETHULK’ Hawelka, a central figure in the competitive Overwatch community, and a veteran of several other esports, has died at the age of 30, reportedly from complications stemming from tonsillitis. Hawelka’s death was announced on Twitter by the owners of Team Liquid, Steve Arhancet and Victor Goossens. At the time of his death, Hawelka was working for Team Liquid as head coach of the organisation’s League of Legends team. Hawelka has contributed to the international esports scene through involvement in World of Warcraft and StarCraft 2, as well as League of Legends and Overwatch. He founded IDDQD, who rose to significant success in the early days of Blizzard’s FPS, before many of those players were signed to Team Envy, who also earned several titles. Team Envy has since evolved into Dallas Fuel, which will be competing as part of the Overwatch League. In a statement issued on Twitter, Team Liquid say they are in touch with Hawelka’s family, and “humbly ask everyone to respect his family’s privacy during this difficult time.” Those who do wish to pass on their condolences can find a relevant forwarding address beneath Team Liquid’s official statement.